Harley Davidson recently launched the updated 2018 models of the Soft tail range with all new Milwaukee-Eight 107 engine. The 2018 Fat Bob gets the most number of updates across all the categories, while the most important one being the all new V-Twin engine. The bike looks mean and rugged while retaining the old design cues throughout. 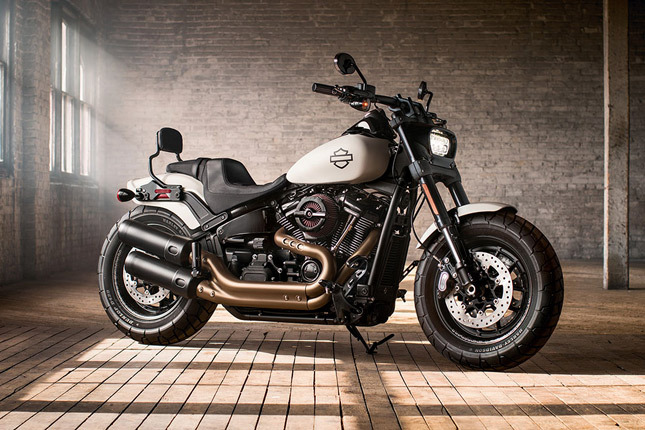 Here's a complete overview of the newly launched Harley Davidson Fat Bob. 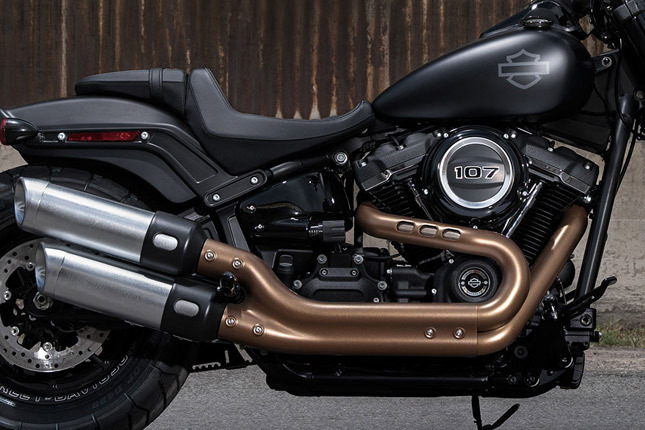 The 2018 Fat Bob is redesigned to look more macho and unique. The USP of the new motorcycle must be its redesigned headlight assembly. Though all the Softail range features LED lights for 2018, the Fat Bob goes one step up as there is a radical design change. 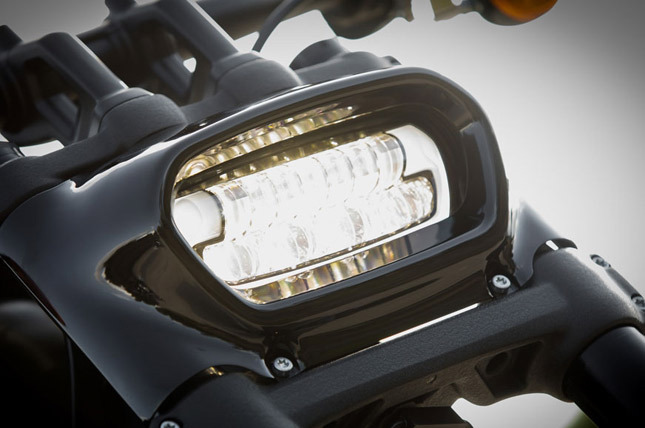 The LED lights are now housed in a rectangular headlight assembly which looks distinctive and a class apart. The wheels are 16 inch on both ends and receive really wide tyres, improving the already muscular look. The large V-Twin engine takes most of the space in the motorcycle while the tank is sculpted over it. The rear end is minimal followed by a pair of short yet stubby exhaust canisters. The front and rear fenders are too short revealing most part of the tyres, but that might be a downfall in India during the monsoon. The motorcycle features straight single piece handlebar giving it an agreement look. Engine and Performance: Though the Fat Bob has comes in two different engine options globally, India gets the only smaller Milwaukee-Eight 107 which is a big bore 1745cc engine. 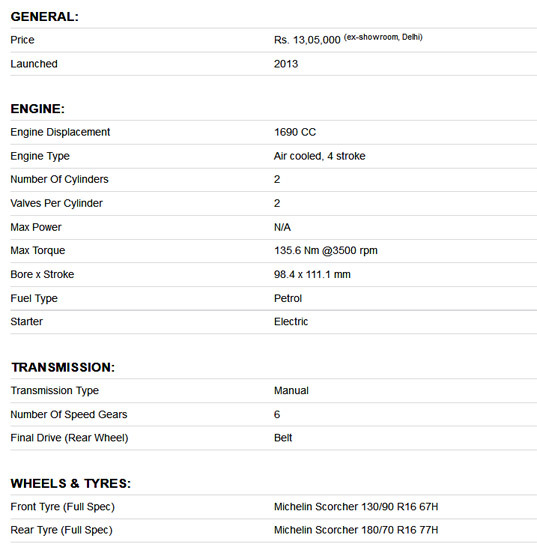 The engine makes a peak torque of 145 Nm at a relatively low 3,000 RPM and the power figures are not disclosed as usual. The vibrations have now been reduced on the motorcycle, thanks to dual counter balancers on the crankshaft. The engine is fueled by Electronic sequential port FI system while the transmission is a conventional 6 speed unit. The exhaust is a 2-1-2 dual side aluminum canister with catalyst in header. 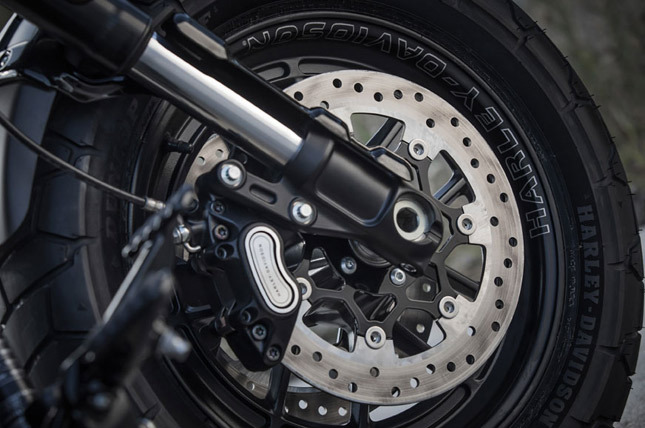 The rear wheel is driven by a belt just like any other belt driven Harleys. The motorcycle doesn't get any modern electronic systems, except for an optional ABS. 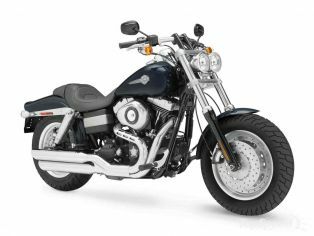 Brakes, Chassis and Suspension: The HD Fat Bob uses the same chassis as its other Softail range siblings, which is a mild steel tubular frame with rectangular section back. The motorcycle is suspended by bullet hole disc cast aluminum USD forks up front while the rear has a Monoshock suspension (rare for a Harley Davidson). The braking duties are carried out by dual discs with 4 piston calipers up front and a single disc with 2 piston floating caliper at the rear. Both the wheels are 16 inch made of cast aluminum with laser edged Harley Davidson graphics. The wheels come shod with wide tyres, 150/80-16 at the front and 180/70-16 at the rear. The motorcycle tips the scale at 309kg wet northwards and has a relatively low ground clearance of 120mm. Price and Mileage: The 2018 Harley Davidson Fat Bob is priced at Rs. 13,99,000 (ex showroom, Delhi) and comes in 4 shades - Vivid black, Black denim, Red iron denim and Bonneville salt denim. The pricing is a bit on the higher side as Harley Davidson has updated the engine and other stuff on the motorcycle. 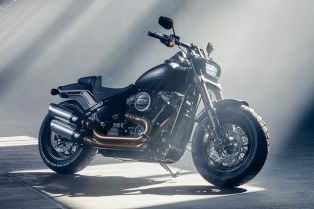 With a macho look and grunty engine, the Fat Bob will surely become a winner in terms of sales figures as well. Originally Posted in 2013 The Fat Bob is a real -fat bike by HD, the bike has fat tyres, fat and flat handle bar gives the mean look to the bike. It is bobber by HD which means the rear fender is been chopped off to expose the rear fat tyre. The bike is been recognized by its twin head lamps. It was first launched in 2013.